Pasta with seafood is something I make often in the summer–not only because it’s delicious, but also because it’s quick, easy and very elegant. 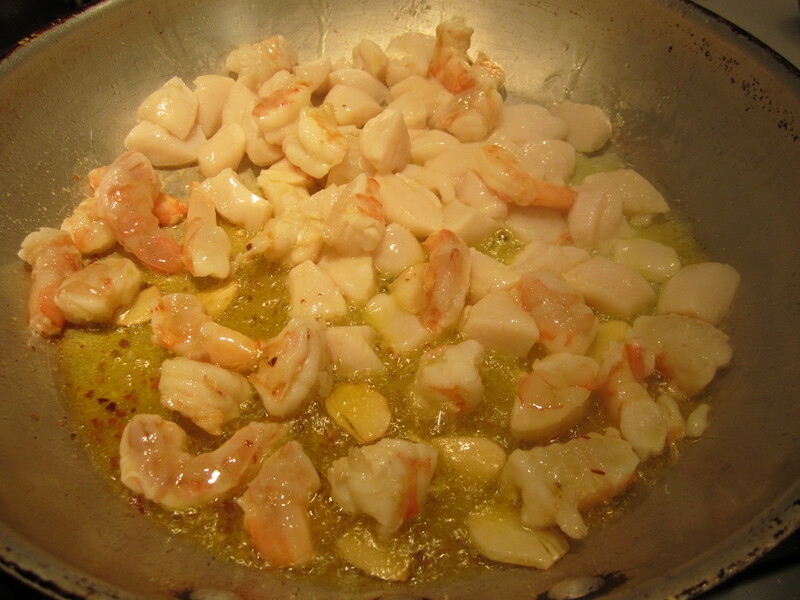 Thr preparation of this dish is very similar to pasta with lobster, chilis and mint, only using raw shrimp and scallops, rather than pre-cooked lobster meat. Think of this as the everyday version of the pasta with lobster. 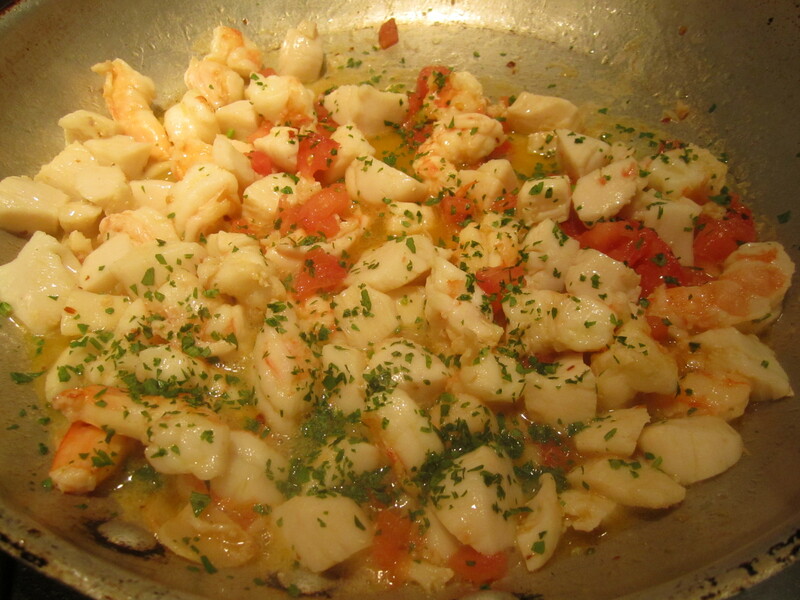 While the pasta cooks, the seafood and aromatics get quickly sauteed. The white wine and chopped tomatoes are added, along with a ladle of chicken broth and a handful of fresh chopped parsely. Simple as it may sound, it’s magnificent. This can be made with either fresh or dried pasta, but I prefer the sturdiness of dried spaghetti in this preparation. As a first course, I’m serving broccoli di rapa with cured sausage. 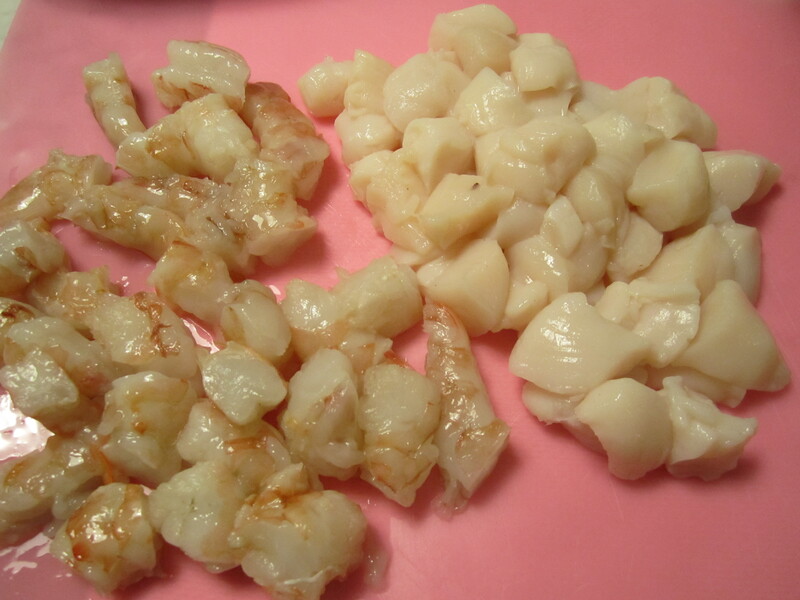 Cut seafood into bite-size pieces. 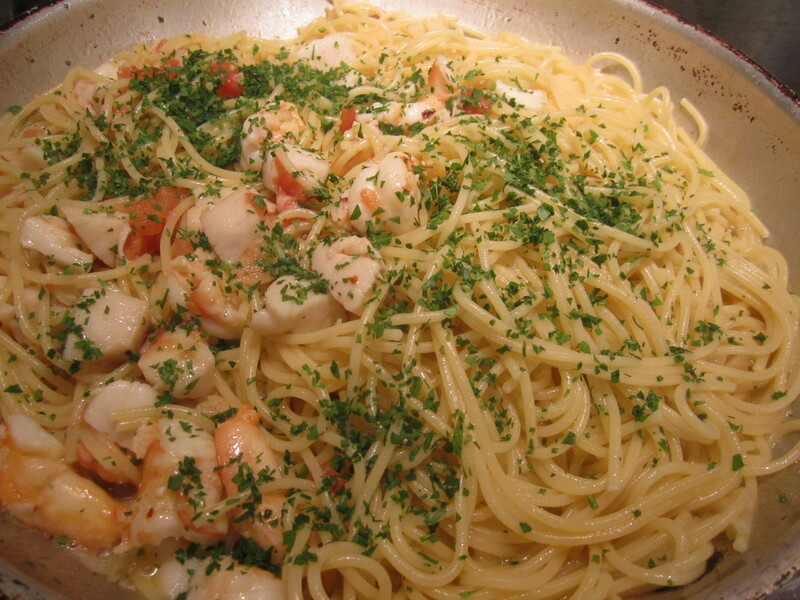 While spaghetti is boiling, in a large skillet, saute the garlic and chili flakes for a minute on high heat, then add seafood. Cook for only a minute or so, then splash with white wine. Reduce for a minute, then add broth and tomatoes. Continue to cook on lowest heat until pasta is a minute shy of done. Add in pasta and saute for a minute to incorporate. Taste and add salt. Drizzle with plenty of extra-virgin olive oil off the heat.